If you have doors in your commercial property or household that need to be reconditioned or installed, King Door and Lock has got the most effective door installation Anne Arundel County, Maryland support. We can help with any household doors or commercial doors you may need repaired, installed, or replaced in Maryland. We have nearly a decade of experience with home security and door installation. We only retain experienced techs. King Door and Lock Maryland and DC provides efficient and speedy assistance at prices that are unequalled. Our business consumers appreciate our 24 hrs a day, 7 days a week expert door solutions for emergency needs. 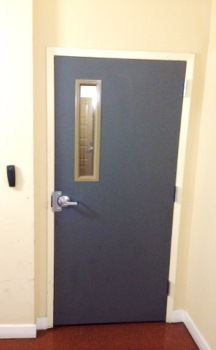 Commercial establishments depend on doors to offer safety. If an electronic door fails, alarms are likely to go off. In the same way, if an individual endeavors to pick a locking mechanism on a store’s front door, our technicians will come to your office to repair the entrance door immediately. In the event that automated doors malfunction, we will be there without delay to repair these doors to ensure that they function like new. One of our specialty services is to repair and replace garage doors in Anne Arundel County MD. Our high quality 24/7 door solutions are designed to meet your requirements. This is important when your garage door ceases to work properly. More often than not, a garage door failure is due to a damaged motor or sensor. If you’re not capable of getting your automobile out of your garage, call us for fast service. For clients who are purchasing an existing house, fixing the front doors is a common request. Door jamb repair and door hinge repair are regular requests from homeowners. This is especially true for first time homeowners. Oftentimes, they are renovating a property which was treated roughly by prior owners. It’s also true for those who own historical homes. Improvements are required to meet present day standards and King Door and Lock Maryland and DC is your reputable door installation Anne Arundel County service provider! We consistently provide upfront pricing so you won’t be surprised when the bill from our company arrives. Our fast and friendly staff is standing by 24/7/365 to respond to any questions you may have. Repairing front doors is another consistent request. This results from weather-related harm. This is especially valid in northern states where sleet, ice, and snow take their toll on residences. We’re often contacted to replace entrance doors when the elements have been hard on a customer’s home. On top of that, we proudly supply a comprehensive line of door hardware. We have a wide selection of door handles, door locks, deadbolts, and door knobs, and much more. 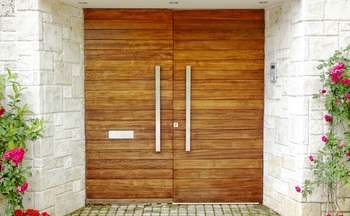 You can expect expert door services and we are able to cater to all your door installation needs. If you have any door installation Anne Arundel County needs, we can come to your rescue. Irrespective of if you need assistance with industrial or household doors, get in touch with King Door and Lock . Let our friendly and fast, expert staff aid you with all your door concerns. Contact King Door and Lock Maryland and DC. Professional Door Installation Anne Arundel County MD Service! Door Installation Anne Arundel County, MD Service by King Door and Lock https://kingdoorandlock.com/maryland-door-installation/anne-arundel-county/ 4.4/5 based upon 14 reviews.